As we look back at 2016 and ahead into 2017, we reflect on and are inspired by our customer successes. 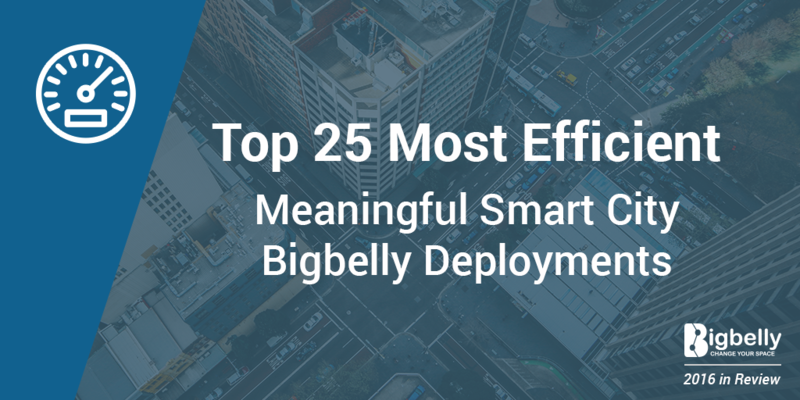 We are excited to unveil the Top 25 Most Efficient Smart City Deployments Using the Bigbelly Smart Waste & Recycling System. Congratulations to each and every one of these cities, towns, parks and transit systems, business improvement districts, other public spaces for constituent enjoyment and their impacted communities! These cities and entites within are power users of their smart waste system and are taking full advantage of data-driven waste management across city limits. 1. Thayer Street District Management Authority, RI (United States) - 99% Average Efficiency for 2016! As we look back at 2016 and ahead into 2017, we reflect on and are inspired by our customer successes. 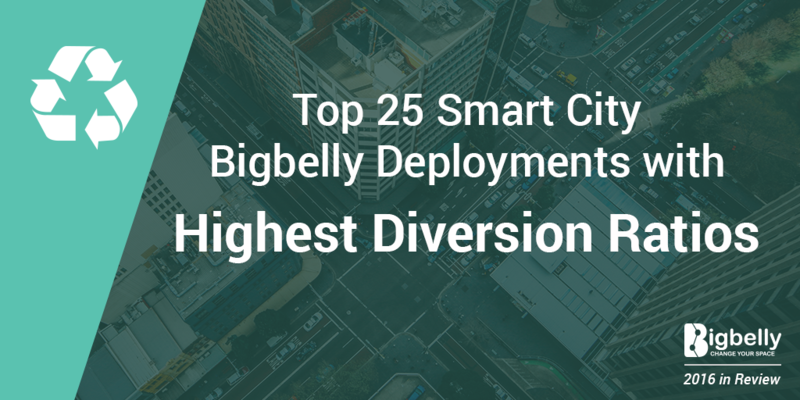 We are excited to unveil the Top 25 Highest Recycling & Compost Diversion Ratios from Smart City Deployments. Congratulations to each and every one of these cities, towns, parks and transit systems, business improvement districts, other public spaces for constituent enjoyment and their impacted communities! We could not be more proud to be a part of these municipalities' success in achieving goals related to public space recycling diversion to create a more sustainable community for today and tomorrow. 1. City of Santa Clarita, CA (United States) - 66% of Waste was Diverted from the Landfill!